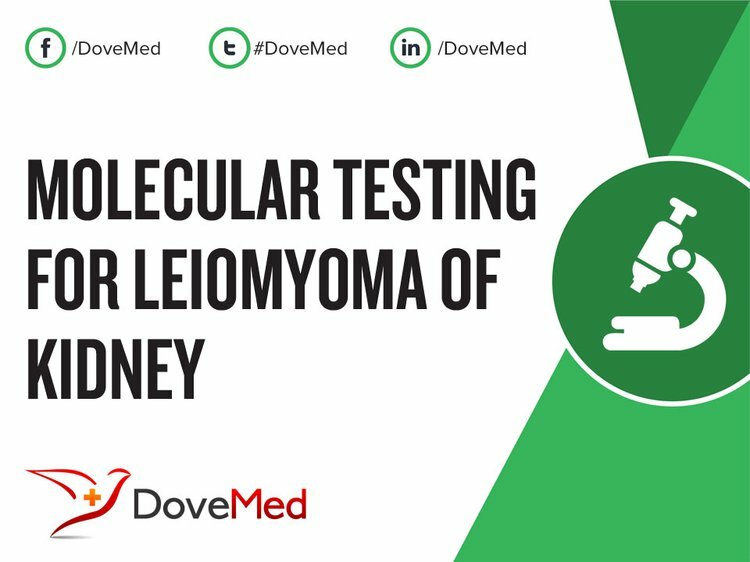 Molecular Testing for Leiomyoma of Kidney is a genetic test that is helpful in aiding a diagnosis of leiomyoma of kidney. The lab test results may also be subsequently useful in taking appropriate treatment decisions. The methodology used for leiomyoma of kidney may vary from one laboratory to another. What are the Clinical Indications for performing the Molecular Testing for Leiomyoma of Kidney Test? How is the Specimen Collected for Molecular Testing for Leiomyoma of Kidney? What is the Significance of the Molecular Testing for Leiomyoma of Kidney Result? Zuckerman, I. C., Kershner, D., Laytner, B. D., & Hirschl, D. (1947). Leiomyoma of the kidney. Annals of surgery, 126(2), 220. Takezaki, T., Nakama, M., & Ogawa, A. (1985). Renal leiomyoma with extensive cystic degeneration. Urology, 25(4), 401-403. Mitra, B., Debnath, S., Pal, M., Paul, B., Saha, T. N., & Maiti, A. (2012). Leiomyoma of kidney: An Indian experience with literature review. International journal of surgery case reports, 3(11), 569-573. Steiner, M., Quinlan, D., Goldman, S. M., Millmond, S., Hallowell, M. J., Stutzman, R. E., & Korobkin, M. (1990). Leiomyoma of the kidney: presentation of 4 new cases and the role of computerized tomography. The Journal of urology, 143(5), 994-998. Linehan, W. M., & Zbar, B. (2004). Focus on kidney cancer. Cancer cell, 6(3), 223-228. Linehan, W. M., Walther, M. M., & Zbar, B. (2003). The genetic basis of cancer of the kidney. The Journal of urology, 170(6), 2163-2172. Linehan, W. M., Pinto, P. A., Srinivasan, R., Merino, M., Choyke, P., Choyke, L., ... & Zbar, B. (2007). Identification of the genes for kidney cancer: opportunity for disease-specific targeted therapeutics. Clinical Cancer Research, 13(2), 671s-679s. Bogdan, R., Taylor, D. E., & Mostofi, F. K. (1973). Leimyomatous hamartoma of the kidney. A Clinical and Pathologic analysis of 20 cases from the kidney tumor registry. Cancer, 31(2), 462-467.